With an abundance of cultural, natural and iconic sights to see, Sydney is the dream location for many. 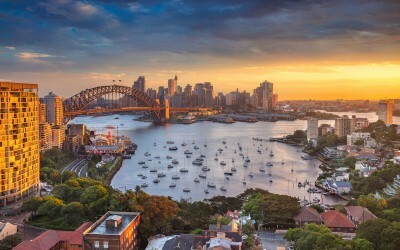 If you’re planning a group trip to this famous Aussie city, you’re probably trying to find the best group accommodation options for you and your friends or family. 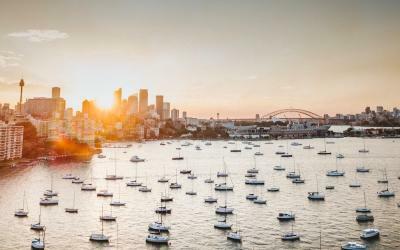 This article will take you through some of the best group accommodation in Sydney so you can spend your time planning your itinerary and deciding which bars to frequent instead. The best thing about travelling in groups is that luxury accommodation often works out to the same price as hostels when being divided by several people. This means you get a lot more for your money. When travelling in groups, it is important to have a communal space where everyone can socialize and hang out. It’s also equally important for everybody to have their privacy as well. We have taken this into consideration when recommending these different options for group accommodation in Sydney. 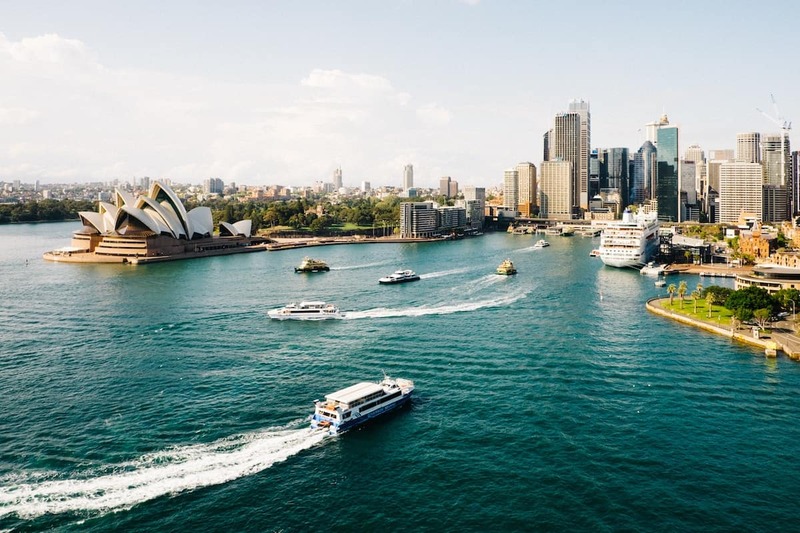 Read more: For a full guide to Sydney, including pre-travel preparation, customs and etiquette, transportation details, and the top things to do in Sydney, read our Sydney Backpackers Guide. 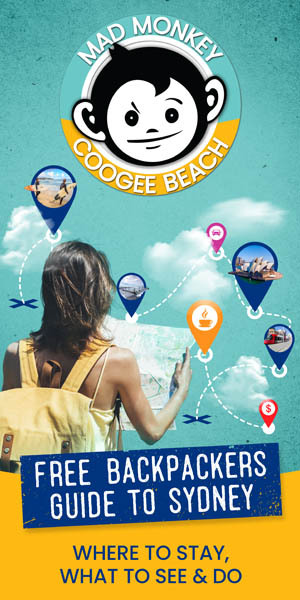 Mad Monkey Coogee Beach has various accommodation types to offer. From four-bed mixed dorms to a twelve-bed mixed dorm, this is perfect for groups of all sizes. Their six-bed apartment offers more than just a typical hostel experience. The apartments come with an ensuite bathroom and a living area that is shared by only two other apartments. This means your group will still have opportunities to socialise with new people, but will also have more peace and quiet. You receive free breakfast during your stay and have access to a communal kitchen to cook your group meals throughout the day. All guests can make use of the free boogie board equipment and snorkel gear and luckily, the beach is just across the street! Enjoy the ocean views here and be sure to attend the evening events like Live Music Night on Saturdays and Backpacker Trivia Night on Wednesdays. Only 7km away from the centre by bus and, this hostel is in the perfect location for travellers. Sleeping up to six people, these modern apartments are perfect for those travelling in groups. Located in the Central Business District (CBD), these apartments are minutes away from several public transport links including Central Station. 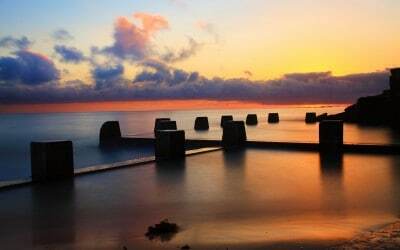 A short walk from many restaurants, shops and supermarkets, this location is perfect. Choose from a one-bedroom apartment that sleeps four people, or a two-bedroom apartment that sleeps six people. Each bedroom has a double bed and all apartments come with a sofa bed. This group accommodation in Sydney offers fully functioning kitchens, aircon, free WIFI, a TV, a safety deposit box, and comfortable sofas. Some offer balcony views with a set of table and chairs. You can request smoking or non-smoking rooms, ensuring you are as comfortable here as you can be. The two bedroom apartments house two bathrooms to avoid those morning queues! The rooms are cleaned daily with all toiletries being replenished. This stay is perfect for those looking for a little bit of luxury. All suites provide a fully functioning kitchen, laundry facilities, and satellite TV with Foxtel. Three bedrooms, a living space and a balcony terrace complete with a seating area means you have plenty of space to socialise and relax. Be sure to visit the swimming pool and spa area, which includes a sauna and jacuzzi, offered complimentary for guests to enjoy. Alongside this, you can take full advantage of the gym and all of its facilities. Car parking is also available at this property. The apartments come with 24-hour assistance, ensuring you get all the support you need during your stay. This group accommodation in Sydney is situated a few minutes walk away from the newly built East Village Shopping Centre. 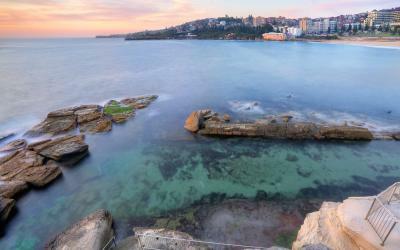 The Harbour Bridge, Opera House, Darling Harbour and Bondi Beach are all less than 10 km away. As this accommodation is part of a chain, there are Meriton Suites dotted around Sydney. This means you can take your pick location-wise to suit your group. If you’d like to be by the beach, there is a Meriton Suites situated at Bondi Junction. If you would like to still be within Sydney but out of the hustle and bustle of the city, you can stay at the Church Street, Parramatta location. This chain of apartments have locations and facilities to suit all types of travelers. With a special recommendation by Lonely Planet, a stay here won’t leave you disappointed. A short walk away from both Kings Cross train station and Sydney City Centre, you’ll have access to all areas of Sydney from this hostel. The rooms come with free WIFI, security lockers and a shared bathroom. This hostel also offers free walking tours, a book exchange and free city maps. There is a communal living area giving plenty of space to socialise and relax as well as meet new people. A shared kitchen means those on a budget can cook onsite. This will also come in handy when cooking for a number of people for group dinners. There is also a tour desk within the building to help plan your group activities and tours for your stay in Sydney. Offering rooms that sleep up to eight people, this group accommodation in Sydney is perfect for travellers. A shared fully functioning kitchen, BBQ and TV room are available at this hostel to ensure a comfortable stay. These communal areas will give you a chance to meet new people and cook group meals. 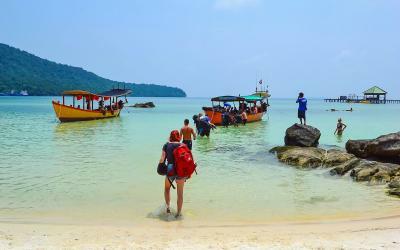 Guests can enjoy free WIFI, free luggage storage, secure lockers and free use of snorkelling equipment. Only a short walk away from the famous Bondi beach, you can make the most of the waves and sunshine that Bondi has to offer. A ten minute’s walk away is Bondi Junction Bus Station so you can access all areas of Sydney with ease. This hostel offers free parking spaces but make sure you request one when booking if needed. 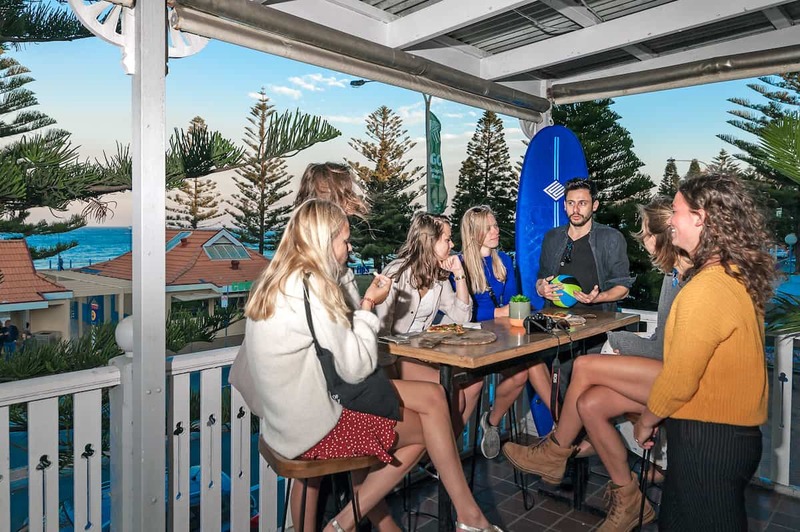 Read more: Check out our list of the best Bondi Beach apartments, hotels, hostels and more! 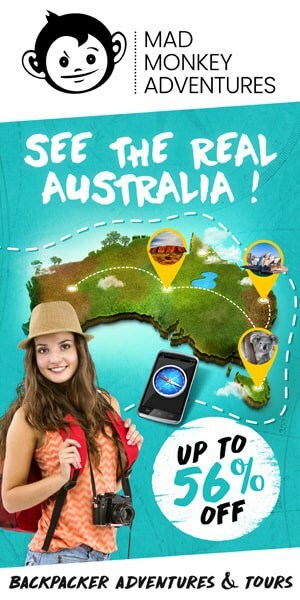 Looking to travel on the cheap to extend your stay in Australia? Check out our list of the top budget hostels in Sydney. Veriu Camperdown is 4 km from the CBD. 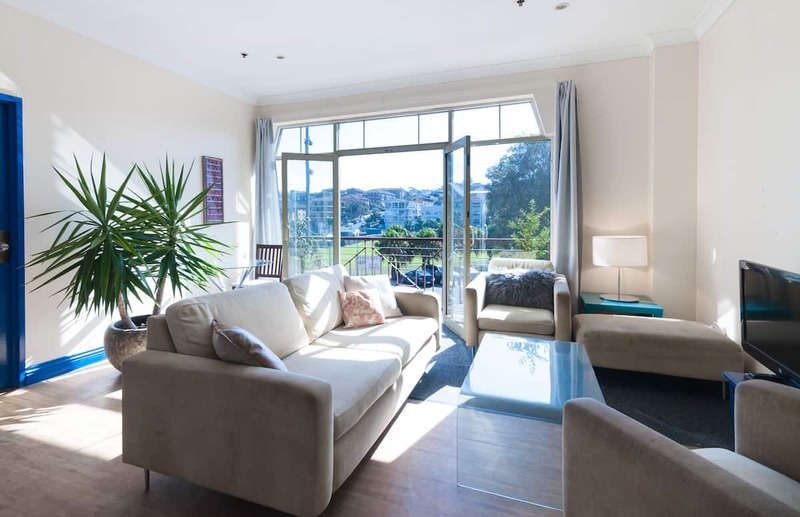 With four-bedroom + two-bathroom apartments, this group accommodation in Sydney has plenty of space for eight guests. There are also one and two-bedroom apartments available for smaller groups as well. These apartments are minimalistic and ultra modern, complete with a garden area for the nature lovers amongst us. Each apartment has a balcony, a TV, a safety deposit box, hairdryer, iron and ironing board, aircon, two bathrooms, a living area and a fully equipped kitchen. Secure car parking spaces are available for a small fee. Veriu Camperdown has partnered up with the gym next door to allow every guest unlimited access to all its facilities. Also available is one push bike per room, free of use. For those luxury travellers amongst us, treat yourself to a relaxing massage or beauty treatment right in your own room. All of these facilities means every member in your group will be able to enjoy themselves during their stay. With simple yet modern rooms that sleep up to ten guests, this city accommodation is perfect for those who are watching their budget. Minutes away from bus, metro and train transport links, this hostel is easily accessible and links you to several places around the city. Each room comes with aircon, a locker per guest, a shared bathroom and access to a kitchen. There is a travel desk to help you book any group trips and activities and a lounge area with luxury leather sofas where you can all relax and plan your day ahead. 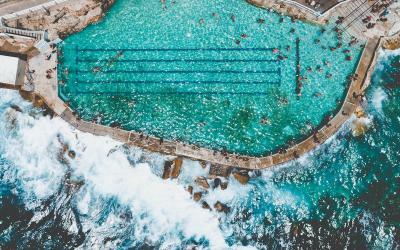 They also hold daily and nightly events, including a trip to Manly Beach, Silent Disco, and pub crawls. Equipped with its own bar and small kitchen that serves lunch and dinner items, this really is every backpackers perfect accommodation. For international visitors, this group accommodation in Sydney prides itself on having staff that speak eight different languages! Read more: Fancy staying at social hostels to meet your future BFFs and drink till the sun comes up? Check out our list of the top party hostels in Australia. If you’re looking for modern, spacious apartments, look no further! Three of these studios will easily sleep ten guests. Each apartment sleeps between four and six as they each have a sofa bed, if you don’t mind cozying up with your mates. A functioning kitchen in each room helps to save money for those on a budget. The Merchant Hotel also has communal laundry facilities for a small fee. Guests can reserve parking for $20 per day and free late checkout when booking directly through the hotel. All apartments are cleaned daily and free toiletries are replenished if necessary. Only 8 km from Sydney airport and a fifteen minute walk to Central Station, this hotel is in the perfect spot for guests to explore Sydney. Note: All information provided in this article was correct as of March 2019. Accommodation prices were taken from Booking.com. Did you find this article about group accommodation in Sydney helpful? 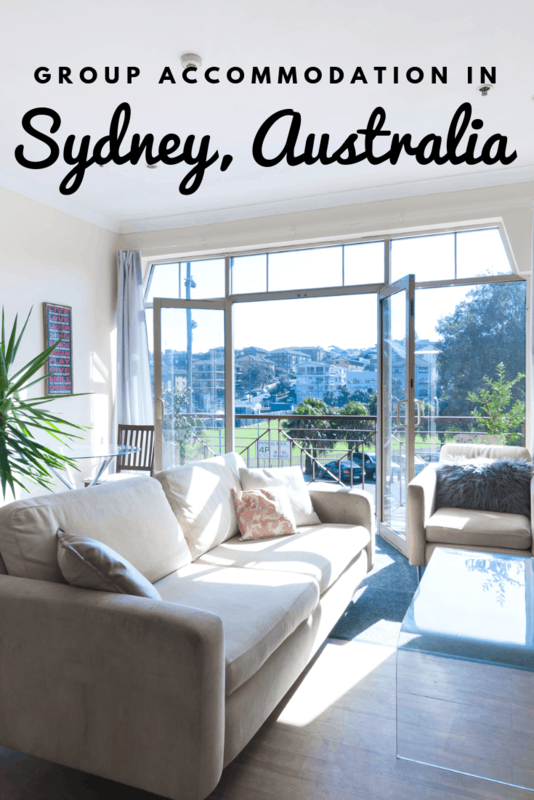 Are you looking for even more options of where to stay in Sydney? 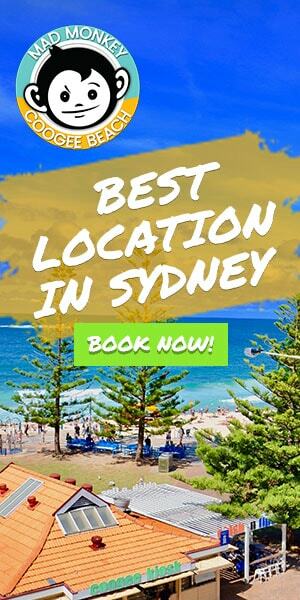 Find the best short-term accommodation options in Sydney, the best areas to stay in Sydney, where to stay in Randwick, the best party hostels in Australia, and where to stay in Bondi. Then check out these other articles we’ve rounded up to help plan your trip to this incredible city!